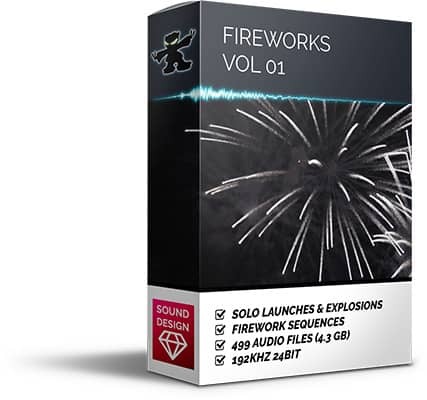 High definition low noise sound packs for sound designers. When designing sound effects it’s important to have high quality, high definition and low noise source sounds to work with. 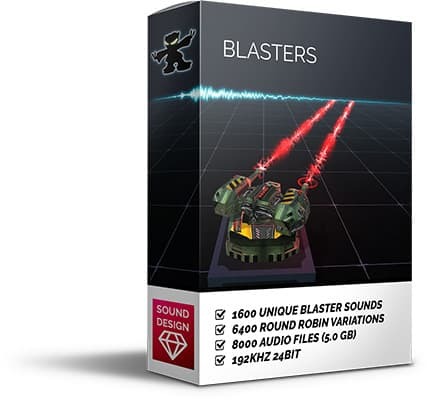 The sound design packs contain raw sounds recorded using professional recording equipment and also includes processed and designed sounds. 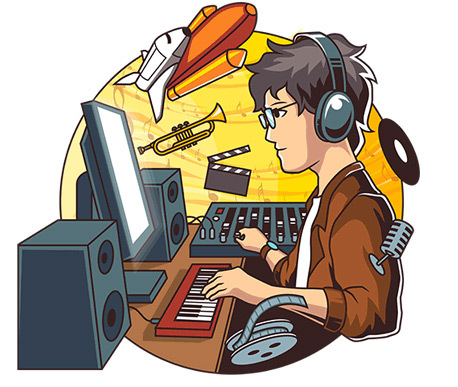 24bit 96kHz and 192kHz uncompressed WAV audio files, keyword meta data tags, multiple repetitions and commonly recorded using multiple microphones of different makes and models. Note: This level of quality is overkill for direct use in games. 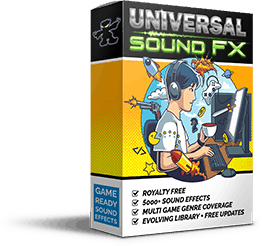 If you need game-ready sound effects, check out the game-ready sound effects section. 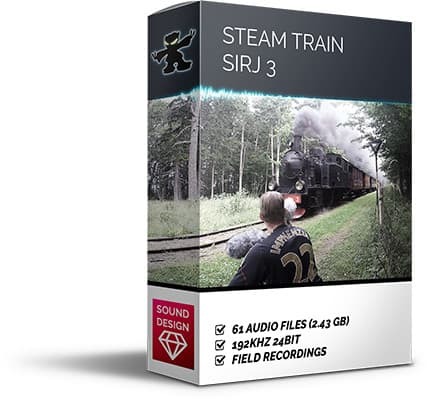 Field recording of the steam train SIRJ 3. Includes onboards, pass-bys and maintenance. 192 kHz 24 bit, 61 files, 2.43 GB, 45 minutes. 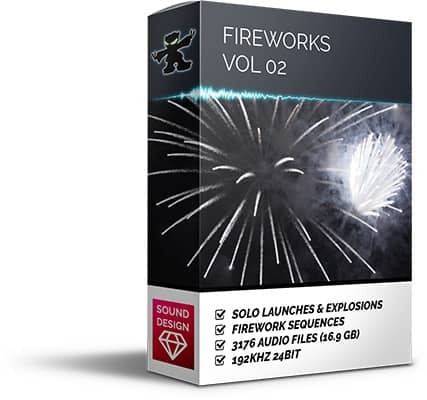 Individual firework launches, explosions, and whistles plus firework sequences. 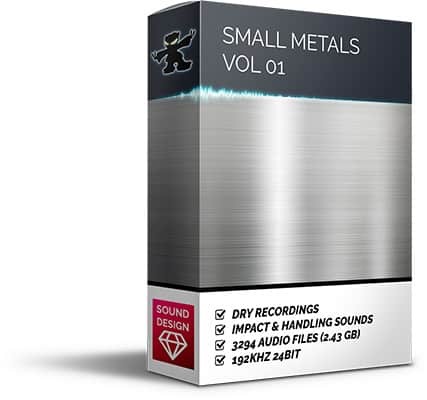 3176 sound files (16.9 GB, 13 GB zipped). Designed spacecraft sounds. 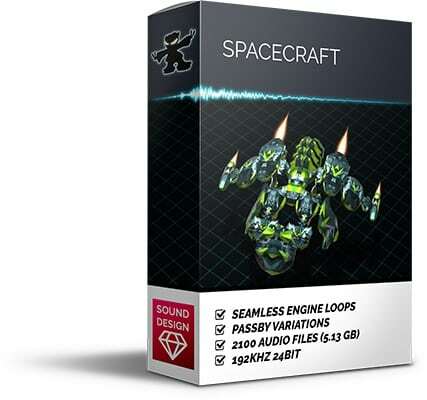 300 mono engine loops. 300 stereo engine loops 1500 mono passbys. 192 kHz 24 bits, 2100 files, 5.13 GB. 1600 unique blasters - 6400 round robin variations. 192 kHz 24 bits, 8000 files, 5.0 GB. Dry foley room recorded small metal impacts, handling and friction. 192 kHz 24 bits, 3294 files, 2.43 GB. 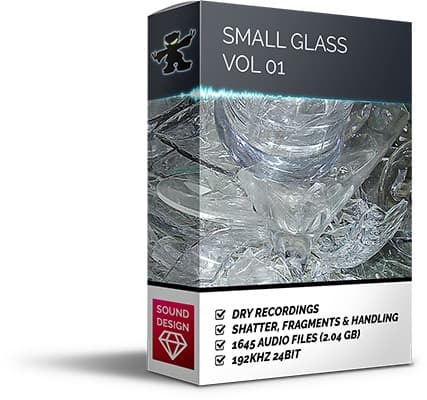 Dry foley room recorded small glass shatter, individual fragment impacts, clean-up. 192 kHz 24 bit 1645 files 2.04 GB. Field recording and composite sounds of suburban new year fireworks. 192 kHz 24 bit 499 files 4.3 GB.